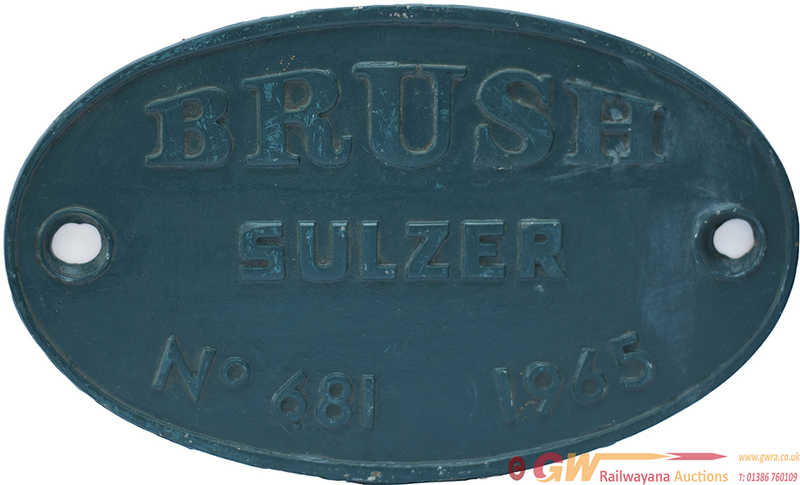 Diesel worksplate oval cast aluminium BRUSH SULZER No681 1965 EX BR CLASS 47 47242, D1919. Initially allocated to 86A CARDIFF CANTON, renumbered 47659 and 47814. Face restored and rear ex loco, with original Collectors Corner receipt December 1982.